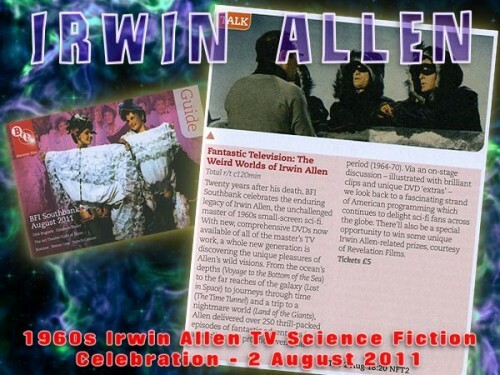 The British Film Institute (BFI) is holding a special celebration of the 1960’s Irwin Allen science fiction television series on the evening of Tuesday 2nd August 2011. There will be a discussion panel and various clips from all four science fiction series will be shown. The Irwin Allen News Network will be there and will have some goodies to hand out to attendees. There will also be an opportunity to win some unique Irwin Allen related prizes courtesy of Revelation Films. Tickets cost £5 to £6.50 and can be booked through the BFI website. The event starts at 18.20 and will last for approximately 2 hours and takes place at the BFI Southbank (Theatre NFT 2) in London (under Waterloo Bridge). We will be running further competitions in the coming weeks on the IANN competition page. We are running a new competition to win one of three prizes, a Land of the Giants DVD, a Time Tunnel T Shirt or a Voyage to the Bottom of the Sea poster. The competition ends on Sunday 10th July. 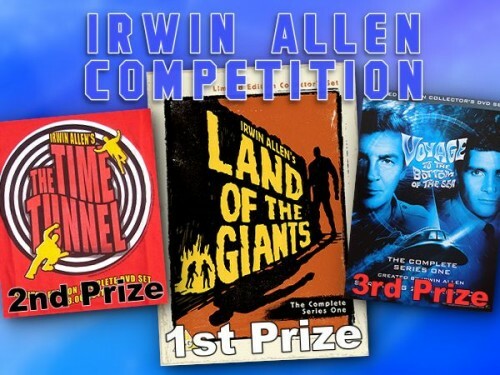 Click here to enter the Irwin Allen Competition. 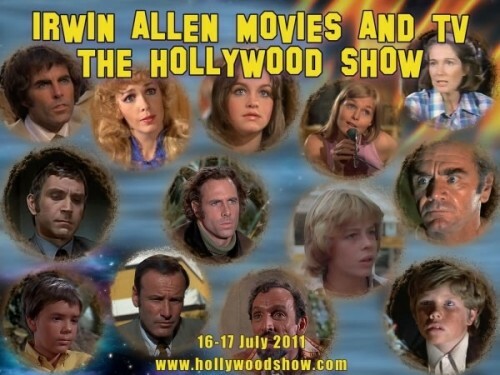 The latest news on the 15-17 July 2011 Hollywood Show is that the show will have a Poseidon Adventure gathering with Ernest Borgnine, Carol Lynley, Stella Stevens, Pamela Sue Martin, Eric Shea and Ernie Orsatti (Saturday only) in attendance. Also scheduled to attend is veteran television actor Joseph Ruskin who guest starred in several Irwin Allen shows, Stefan Arngrim (Land of the Giants), Julie Adams (star of Code Red), Leif Garrett who starred in the TVM Flood, Peter Mark Richman (Land of the Giantsand Voyage to the Bottom of the Sea), and Land of the Giants guest stars Richard Anderson (Six Hours to Live) and Bruce Dern (Wild Journey). This will be Eric Shea’s first ever appearance at an autograph show. Note that no celebrities will be there on Friday 15th.